There's still so much I'm processing from the April adventure that I underwent as part of the adventure tour in Nepal, and even still, I can confidently attest that this is one of the best decisions you can make for yourself. You'll grow in heart, mind, and soul, and you'll discover things deep within yourself you may have never expected to find. You'll gain confidence from the courage it takes to step into the unknown in such an extraordinary way. You'll form powerfully supportive friendships, and you'll get to experience a very special connection to the awe-inspiring land and to the people who inhabit this incredible country. You don't need to be a super star trekker like Tshering to be able to make this trek - moderate fitness is just fine :) We keep the groups small so that we can accommodate all levels of fitness. Picture yourself walking amongst the majestic Himalayas, breathing fresh air as you listen to the rivers flowing, birds chirping or as you just enjoy the silence of real nature! What's most important here is an open mind, a hunger to dive into new possibilities for yourself, and a willingness to throw your head back and laugh with us.... we laugh a LOT!!! 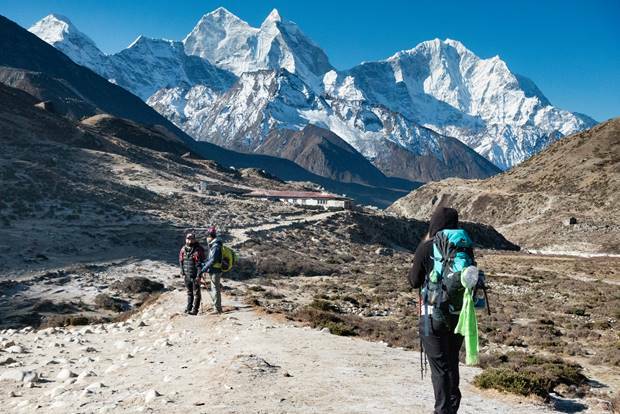 If you've been flirting with the idea of giving yourself the adventure of a lifetime and stepping foot as close as humanly possible to heaven on earth... there is no better time than NOW to go for it by taking the adventure trekking tours in Nepal!!! you can't put a price tag on this sort of experience. If you're on the fence... contact us….dive in!!! This November we are headed to the stunning Gokyo Lakes in Nepal as a part of our Gokyo lake trekking adventure. We are offering a 20% discount if you book with us by the end of May. Email us at driftwoodadventures@gmail.com or reserve a spot online at www.driftwoodadventuretreks.com We also have treks to the Annapurna and Everest Base Camp!